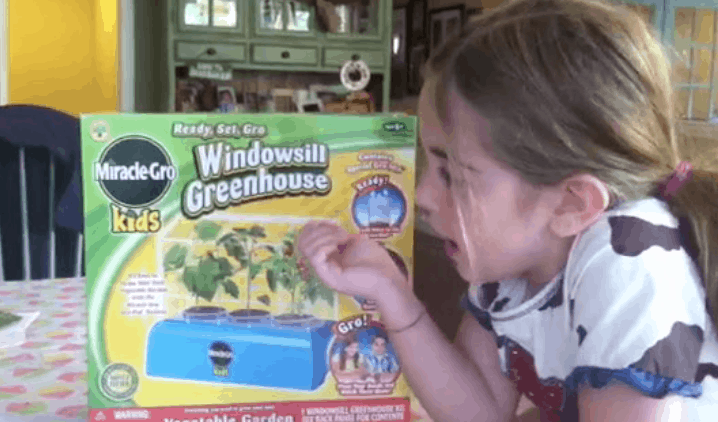 My daughter could not WAIT to plant in her Miracle Gro Windowsill Greenhouse. As soon as she saw the box, I had to use all my strength to rip her fingers off the edges. Wide-eyed and crazy, folks. Wide-eyed and crazy. The Miracle Gro Windowsill Greenhouse is a fun tool to help kids get excited about vegetables. I let Natalie do everything on her own so she could feel complete ownership towards the tomatoes, sweet pepper and cucumbers that were planted. The kit is easy enough – pretty simple to follow along. Parents do not be afraid! We got the smaller circular Miracle Gro kit. We’re on our 3rd round of seeds this year now and starting another set next week. My two boys love this, 10 & 11, and can’t wait for each week. The seeds grow fast and within 1 week we can transplant to pots. Love it!